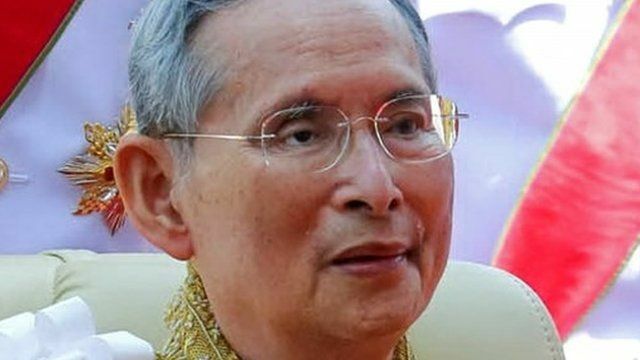 Thailand's king calls for unity Jump to media player King Bhumibol Adulyadej of Thailand has urged people to support each other for the sake of the country, in his address to the nation on his birthday. 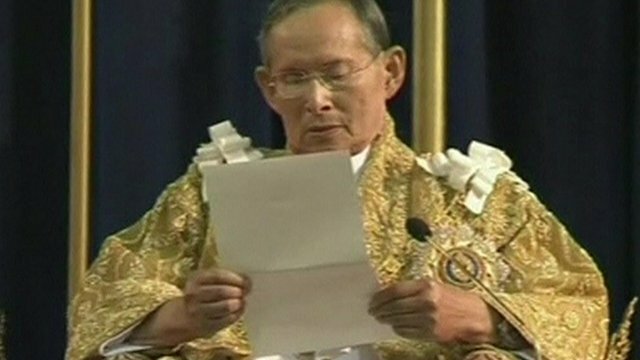 Truce as Thai king calls for support Jump to media player Nearly two weeks of anti-government protests in Thailand have been halted as King Bhumibol Adulyadej celebrates his birthday. 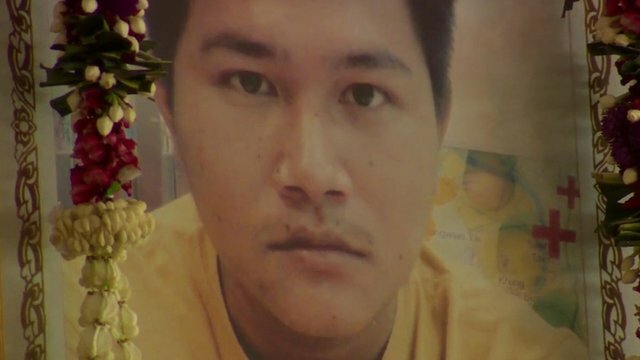 Thai soldier's death 'sends warning' Jump to media player The BBC's Jonathan Head speaks to the mother of a soldier killed during violent protests in Thailand. 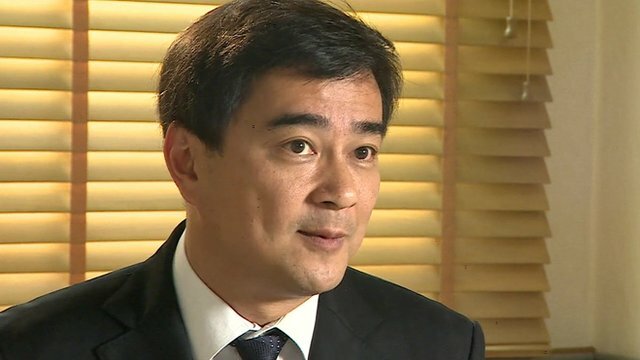 Thai PM 'got priorities wrong' Jump to media player After days of violent confrontations between police and anti-government demonstrators in Thailand, barricades are finally being dismantled and a sense of calm has returned to the streets of Bangkok. King Bhumibol Adulyadej of Thailand has urged people to support each other for the sake of the country, in his address to the nation on his birthday.